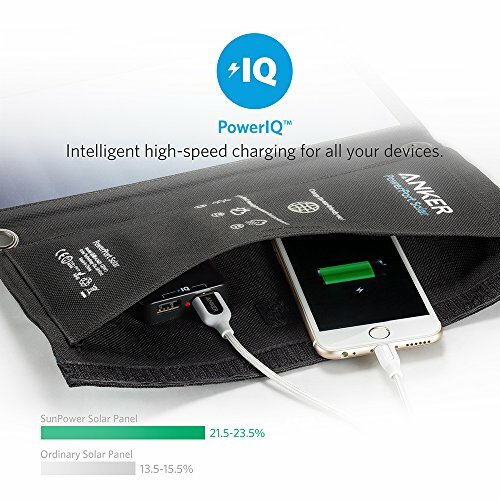 Exclusive to Anker, PowerIQ discovers and replicates your device’s original charging protocol to provide its fastest imaginable charging speed up to 2.4 amp per port or 3 amps overall (with enough direct sunlight). 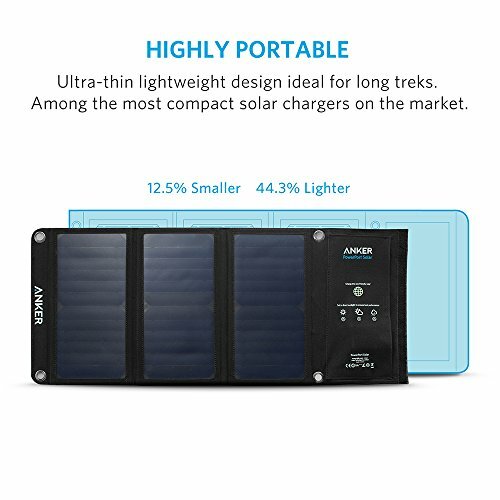 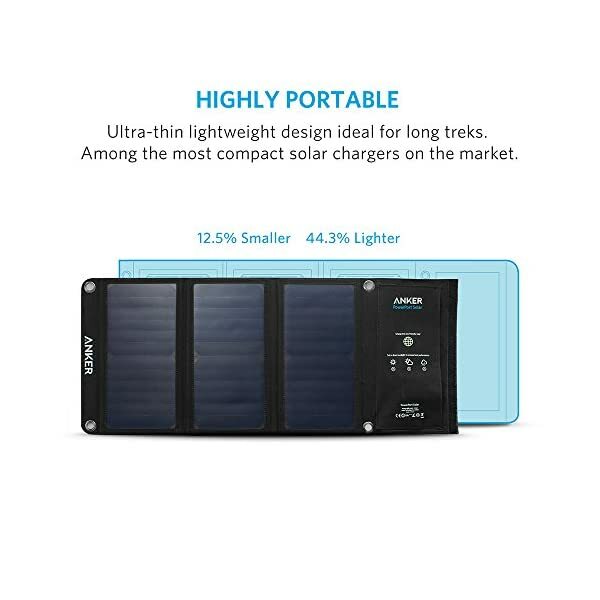 Industrial-strength PET plastic faced solar panels sewn into high-wear polyester canvas ensure it’s able to resist the trials of your outside adventures. 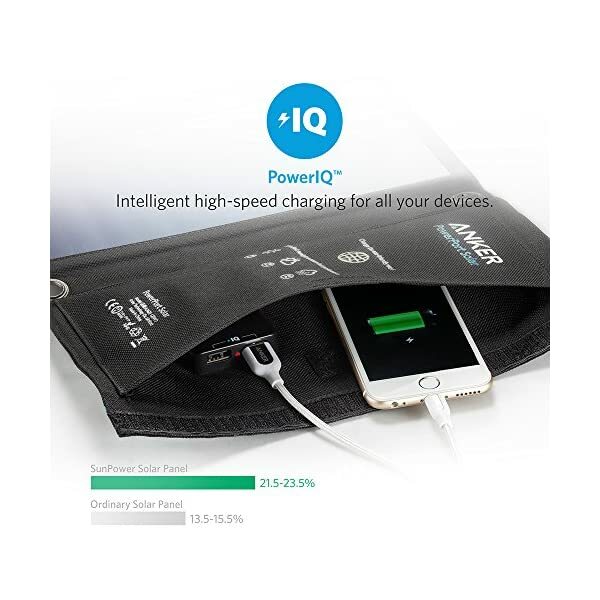 Short circuit and surge protection technology keep you and your devices secure. 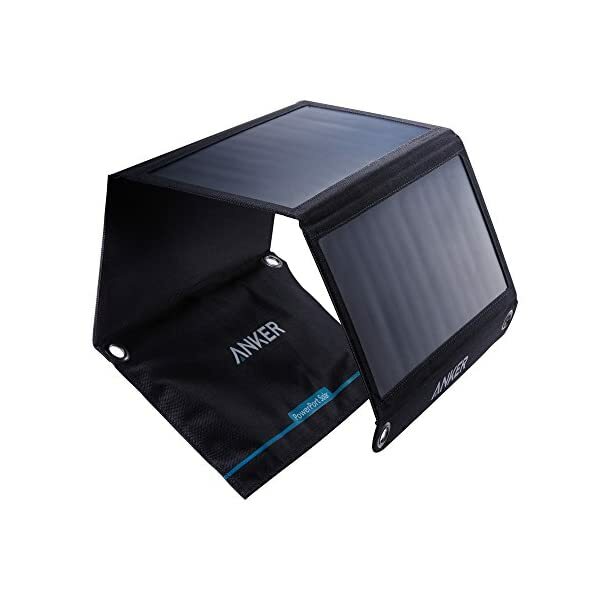 • Whilst the polyester canvas provides some water protection, we recommend minimizing moisture exposure to offer protection to electrical components. 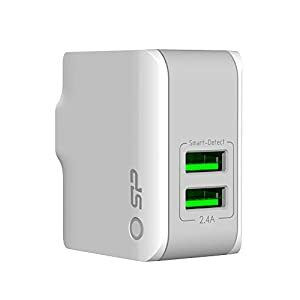 This charger isn’t compatible with the iPod nano, iPod Classic, iPod Shuffle, HP TouchPad and Asus tablets. 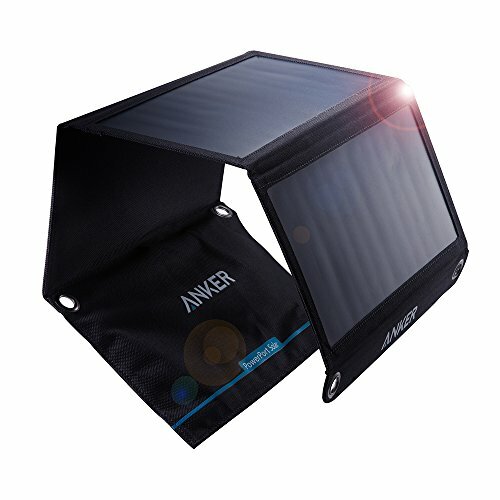 The Anker Advantage: Sign up for the 10 million+ powered by our leading technology. 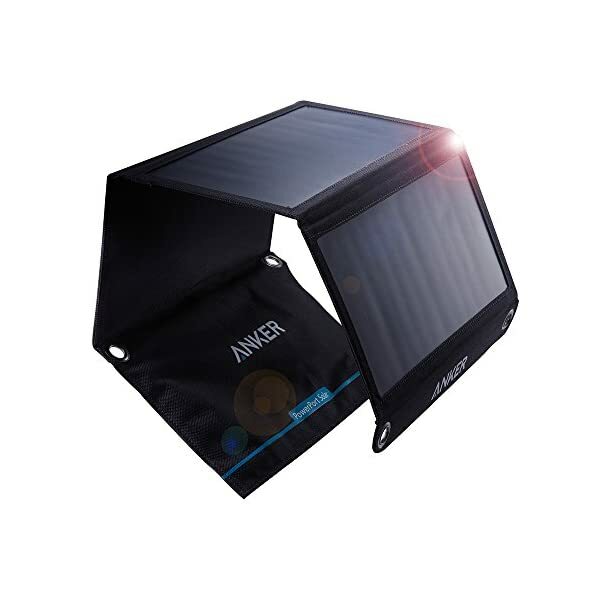 Fast Charging Technology: PowerIQ delivers the fastest imaginable charging speed up to 2.4 amps per port or 3 amps overall under direct sunlight. 21 watt SunPower solar array is 21.5-23.5% efficient, providing enough power to charge two devices concurrently. 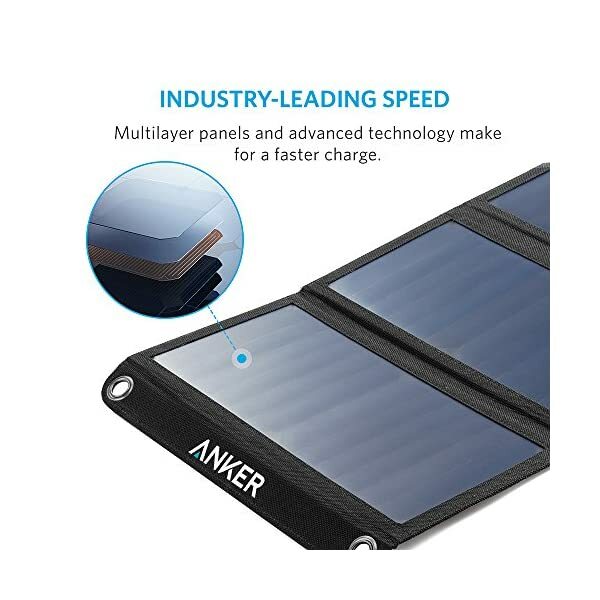 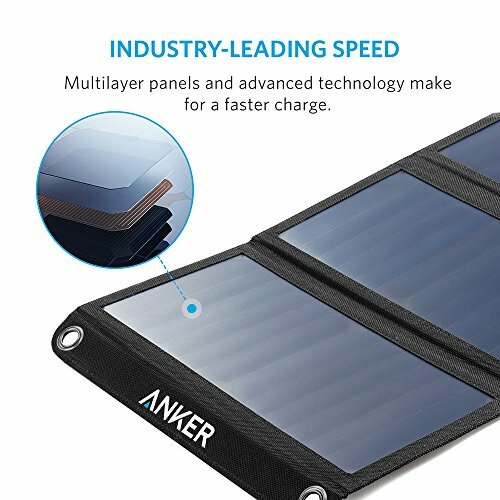 Incredibly Durable: Industrial-strength PET polymer faced solar panels sewn into a rugged polyester canvas offer weather-resistant outside durability.